I arrived in Helsinki on Monday morning bright and early, although the sun had been up for ages before we got in! It was pretty warm, humid and already around 25degC by the time I made it into the town centre at 8am. 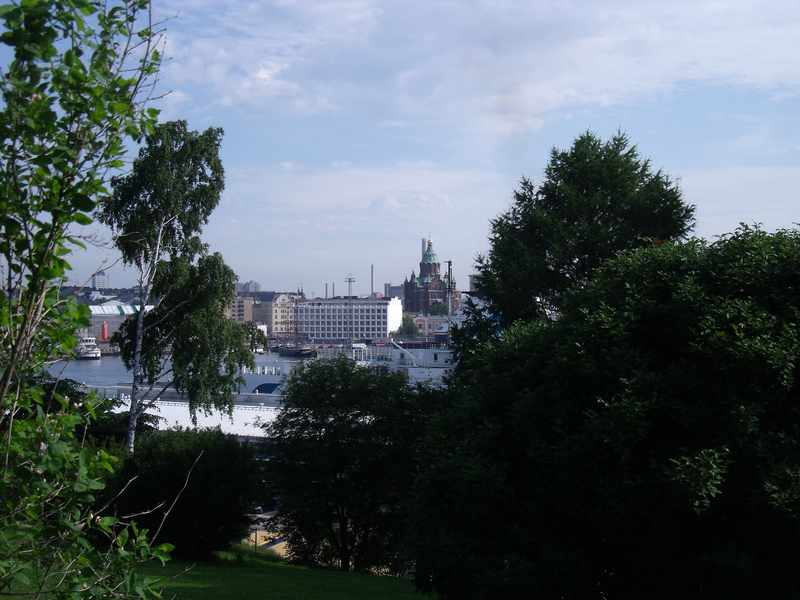 I had enough time for a quick look around Helsinki while I waited for the train up to Jyväskylä. It was pretty busy in town with a couple of cruise ships in port and tourists everywhere. It was good to have a bit of a look around and stretch the legs a bit after a long flight and a long train ride ahead. Once in Jyväskylä, Ross my NZ team mate who lives here with his girlfriend Hanna came and picked me up and I have been staying with them along with Kate (Ross’s sister) who is also in the NZ team. The last few days I have been easing into the training with a short jog, a few intervals sessions with Ross and my first taste of orienteering in the Finnish forest – enjoyable but lots of mosquitos and other annoying bugs! Tomorrow Kate and I head north to met some of the rest of the team at our accommodation in Vuokatti. We have a race on Saturday while Ross has to stay behind for a few days to work.